Drawing or modeling? Back to the Future. 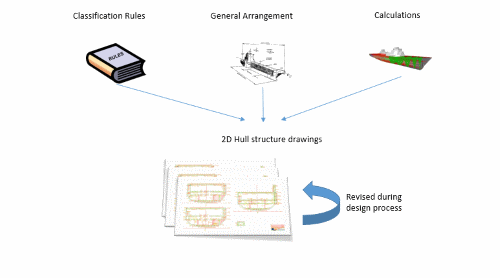 During last 50 years nothing has changed in hull structure design methods. Strength calculations was improved quite a lot, but in case of drawings we just replace manual drawings with 2D computer drawings. No doubt we have accelerated the design process. Modern 2D CAD systems helps a lot. For example only Copy-Paste method give a lot of benefits to make new drawings quickly. 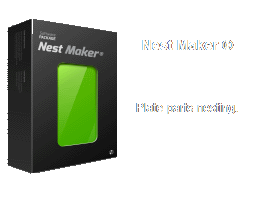 2D CAD software has simple, very friendly interface, and well known for everyone. But in general it just replacement for paper and pencil. At same time we have several ship design CAD systems that offer 3D hull structure modeling. Why many designers use 2D only? Easy to draw, copy/paste and modify of drawings. 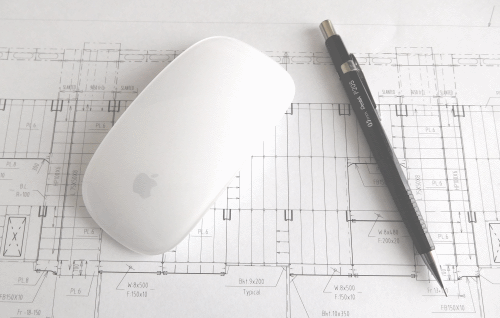 2D drawings CAD software is not very expensive. 2D CAD well known and easy to use. 2D CAD drawings is like a company documents standard. Manual modification for all affected drawings in case of project changes. Easy to forget modify some elements. Not always possible to have correct dimensions on the drawings for measurement. 2D drawings can’t be exactly correct as 3D model. Very difficult to make correct drawings in complicated areas with 3D structure. 3D structure model exist from very beginning of the project and during project became more correct and more detailed. Correct dimensions and views on 2D drawings generated from 3D model. Material order, weight and COG generated from 3D model. Easy to see mistakes and collision in 3D. All 2D drawing will be updated after 3D model changes. No manual corrections and human’s factor. 3D model can be used for making unit’s drawings. Based on existing 3D model a lot of time can be saved at production documentation stage. 3D model can be directly used for piping modeling. Full control of structure model during all design and production time. Hull stricture modeling software more expensive. 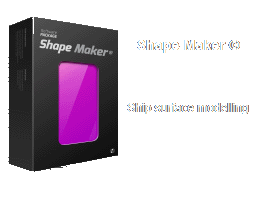 Designer have to learn specific modeling 3D software. Output drawings can be little bit different. It’s depending from 3D software . There is a lot of benefits we can get from 3D modeling, but only few companies use it from beginning of project. No one now ask any more for 2d Lines and offset table when we are talking about hull surface. Everyone used IGES or some other CAD files for that. But in case of hull structural drawings we do same work two or three times. First we draw class structural drawings, then, based on them, unit’s drawings, then build 3D model for detail engineering. It is a lot of work for big team of engineers. Will you manually count how many words in the paper book, if you need to know so? I think you will try to get some digital copy and use computer program for calculation. Why in our case we manually calculate material order from 2D drawings or redraw unit drawings based on class drawings? Well, there is some investments need to be done to implement 3D modeling into design process. 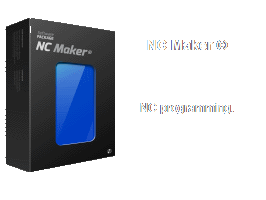 Pay for software licenses, training engineers, change some design routines and etc. Another option is to do it on outsourcing company. There is a lot of outsourcing companies who provide 3D modeling and production documentation for shipyards. They are specialized on this type of work and already have 3D CAD systems. 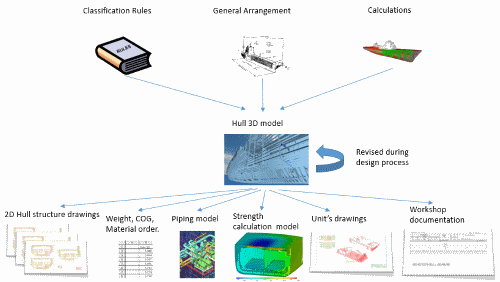 More close cooperation with such companies can be also solution for 3D modeling implementation in ship design process. 3D hull structure model can give you good overview of what happened with structure, full control of model, more precise output for calculations, drawings and 3D modeling in other design disciplines.